Maybe you think this goes without saying, but not every customer wants the best. Sometimes customers think they want the best, but they really want the cheapest option, or they want a contractor who won’t tell them the truth if it’s something they don’t want to hear. However, since our company has built its reputation on doing things the right way and providing excellent service, we hope to serve customers who want this too. A superior end product is more important to you than a low price. If you are the person who wants the lowest price no matter what, maybe you have never had a major home renovation done. Or perhaps you have heard a ridiculously low price quoted to you from an non-reputable source. Maybe you are just a bargain hunter, and you believe that every roofing job is the same. Whatever the reason, if you’re looking for a roofing company whose best claim is a low price, you are probably going to get what you pay for. What we are hoping for is a customer who wants the job done the right way, with the right materials within a reasonable budget. 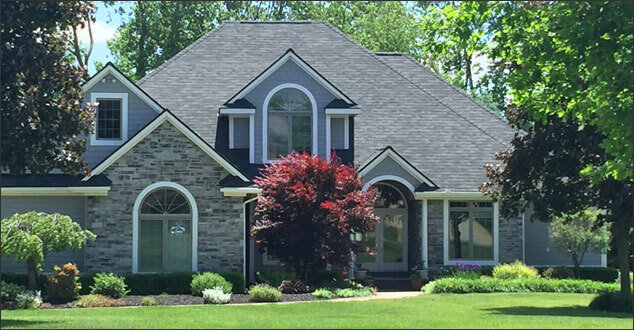 While it may cost more than the storm chaser company who cuts corners to make a profit, our roofs are guaranteed to be done right and to last. You might think we would be happy about having a bunch of customers who trash their roofs. More work for us, right? It’s not true! We write many posts about how to maintain a healthy roof because we care about our roofs and we want them to last for as long as they can. We try to encourage homeowners to do routine roof maintenance every year and warn you of the dangers a lack of maintenance can pose. In addition, we offer comprehensive maintenance services for your commercial roofing needs! You call us when things go wrong. While we don’t encourage you to actively ruin your roof, we do want you to call us when something goes wrong. If there is a leak, if you notice damage, or if you have any other questions, we welcome the chance to diagnose your problem and help you fix it without delay. We love customers who don’t wait to fix any roofing issues because the sooner you get it fixed, the simpler the fix will be. We pride ourselves on what we offer to our customers: full insurance coverage, warranties, and excellent local references. We love it when our customers have done their homework and ask about those things. We want customers who demand excellence. We like it when our customers want the best, and we want to be the best company we can be. When you come to us with questions, concerns, and even complaints and give us a chance to address them, it makes us better. If your home or business is in Southeast Michigan, please reach out today. We would be honored to help!